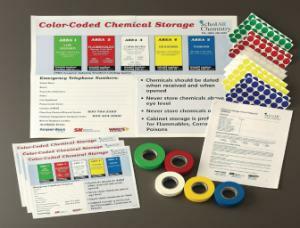 This kit maintain a safe environment by storing chemicals properly. This kit helps you create a consistent storage classification system. 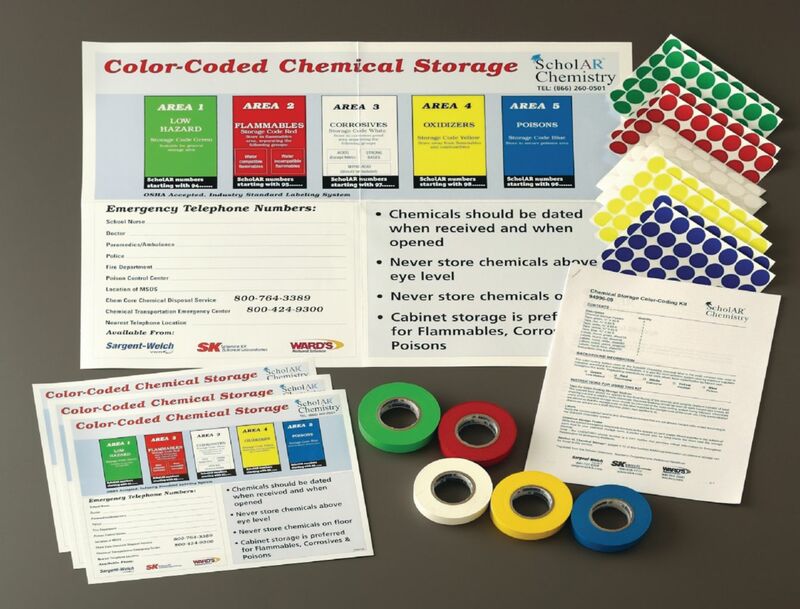 The provided color-coding system allows you to label chemicals for correct use and storage and by compatibility, so you have an effective storage system that’s compliant with industry standards. For each of the five colors used in this system (green, white, yellow, red, and blue), there are enough label dots included to re-label 350 bottles and sixty-nine 3 ft. shelves.